Oh, you guys! 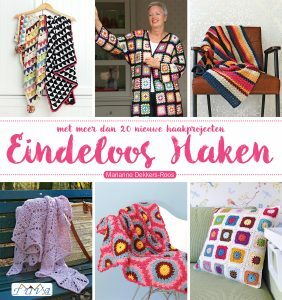 There is such a won-der-ful & inspirational new crochet book on the market! 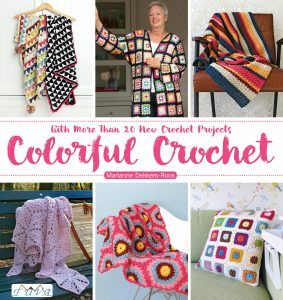 The mere fact that it’s been written by one of the queens of crochet – someone I’ve both admired and learned a ton of crochet techniques from – the renowned Rachele Carmona is (or at least was for me) a reason to instantly preorder&buy this book. I literally could not wait for its release, and I’m so pleased it’s finally here! 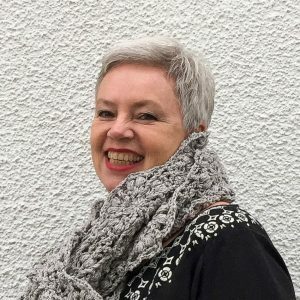 I think we have all seen Rachele / Cypress Textiles and her fantastic innovative work, her many beautiful blankets, and her blog filled to the brim with very helpful crochet tips/tricks/tutorials. If you haven’t yet, you should really do yourself the favor of hopping right over to her IG and blog. As I said, I’ve learned quite a few fantastic techniques from her. For instance, Rachele’s ace tutorials on the continuous-join-as-you-go and her pull-loop-through have definitely improved my crochet game big time. Looking back, I’ve not only enjoyed learning from and being inspired by Rachele, I’ve actually crocheted one of her patterns, the pretty “Chevron 2.0 Blanket”. Going through my archives to find pictures of that blanket, I discovered another fab Cypress Textiles-pattern I bought, the “Zendoodle Blanket”, but have not found the time to crochet it yet. A situation that has only gotten worse now that her book is out, and as far as I’m concerned almost all of the 18 lovely new designs carry the tag “crochet me”, especially the “Ombré Stripe”, the “Boho Desert” (shown below), the “Multifaceted” and the “Layered Waves”, four of my favorites. 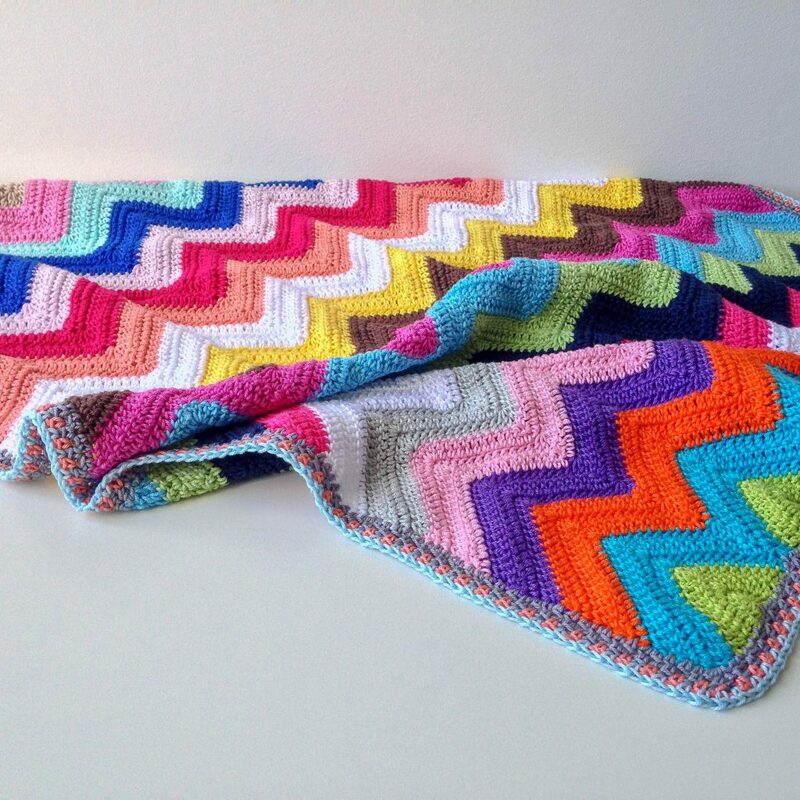 There are two things that I particularly loooove about “The Art of Crochet Blankets”: firstly Rachele’s unique signature. You see, she has experimented before – and does this in the book again – with different kind of shapes and patterns coming together in 1 design. 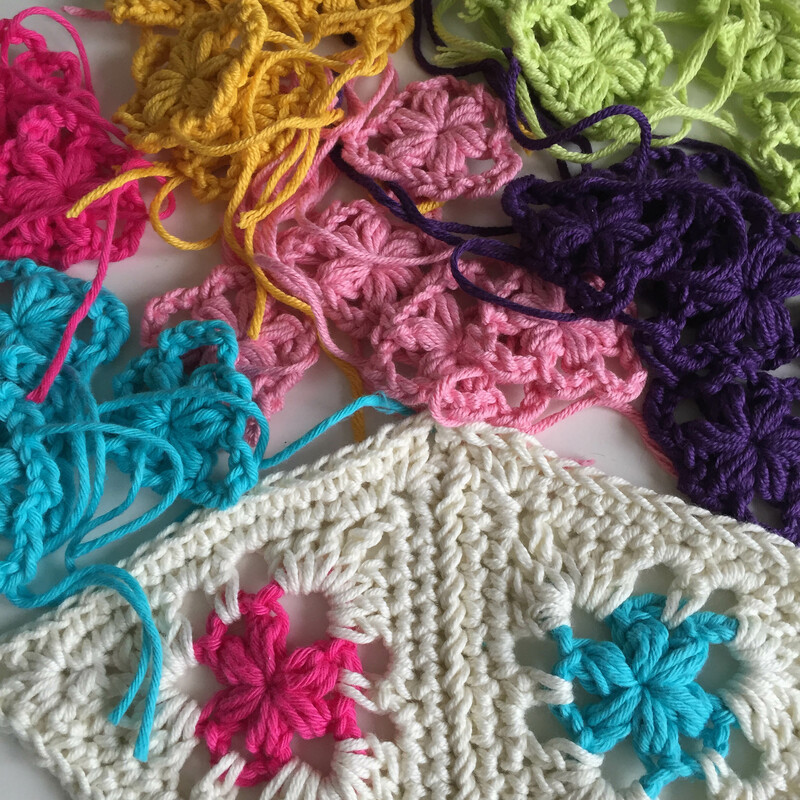 By doing so, I think she’s has opened a new window as to how we can look at crochet and the endless possibilities it offers. Just when you think “everything has been done already”, and how you can only distinguish yourself by your color choices, Rachele shows us an array of new possibilities. 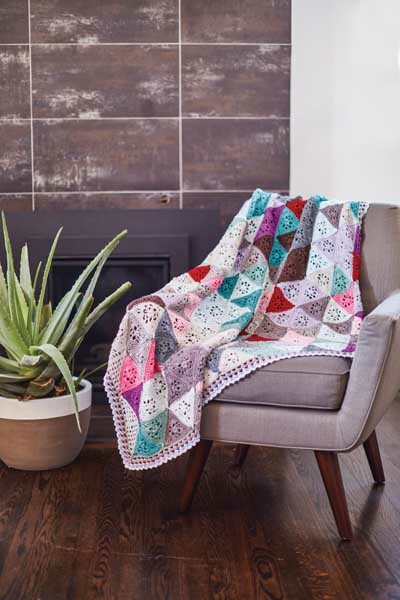 The second thing that is very different and unique about this book is how Rachele used the art work of 6 inspiring modern makers and their art forms (weaving, digital art, screen printing, quilting and even paper crafts) to create her 18 gorgeous crochet blankets. There is information about every one of the 6 artists, and how their specific work inspired Rachele to design ‘their’ blankets. I really liked that as well – very, very interesting indeed! It goes without saying that Rachele has covered all standard crochet bases in the book too: patterns are written out, many have diagrams for layouts and colors, there are charts for some patterns, as well as quite some explanation regarding construction. Many different construction methods are used throughout the book and all of them are perfectly explained. Special techniques in diagram and written format that cover joining, changing color, adding edge stitches and finishing tips can be found in the book too, as well as a full list of abbreviations, a glossary and key for the charts. All details on where to buy the book can be found here! Being all inspired after having gone through the book and ‘simply for the fun of crocheting’, I started on two of the designs. I’m not sure what I was thinking, because due to the omnipresent lack of time, of course I can’t show you anything finished yet … Since I’m seriously liking the start of both though, something very pretty will come out of this, eventually! Rachele and her publisher have very kindly offered a copy of “The Art of Crochet Blankets” that I’m allowed to give away to one of you! Please leave a comment under this blog post, make sure I can reach you via email, and ‘you’re in’, it’s that easy! The giveaway is open internationally, and will close Saturday December 1, 2018 (24:00 CET); a random number generator will pick a winner. If I do not hear back from the winner within 24 hrs after notification, a new winner will be drawn. Good luck to all! Lijkt mij mooi om te winnen voor mijn zus. Zij heeft nog garen liggen voor een dken. Zo kan ze eentje kiezen. Dankjewel dat je ons een inkijkje geeft in dit mooie boek. Wat een prachtige dekens! Mijn vingers gaan er al weer van jeuken! En zo lief dat je een exemplaar mag weggeven. Duimen draaien maar weer! Liefs Ingrid. Wow I love the use of colors! 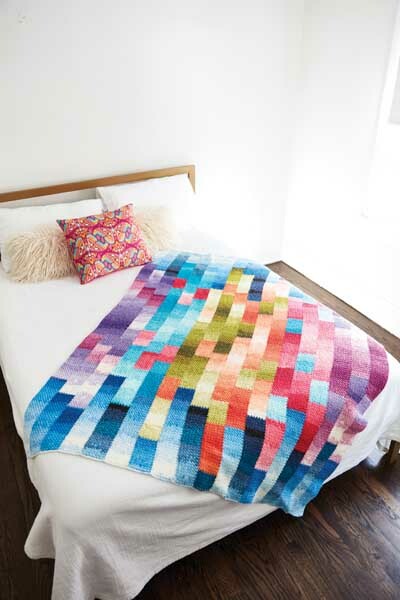 I’m in love with each and every blanket …. so yesssss please count me in!!!!!! En zo leuk dat je iemand blij mag maken met een exemplaar, zeker weten dat diegene er veel plezier aan gaat beleven en inspiratie uit zal halen! Dankjewel voor deze post. Wat een schitterende dekens; kleuren waar je helemaal blij (en warm) van wordt. En wat lief dat je een boek mag weggeven. Ik hou me graag aanbevolen. Wat een bijzonder boek! Stel je voor dat ik win!. Ik zou heel graag aan de slag gaan met een of meerdere patronen uit het boek. Dus ja ik kom graag in aanmerking! Wauw wat een prachtige patronen, met super mooie kleuren- en techniekcombinaties. Hier word ik zo blij van, mijn handen gaan al kriebelen om er eentje uit te kiezen. Prachtig boek! Wauw wat een mooie dekens! Ohhhh dát boek!!!! Zo mooi al die dekenpatronen! Ooooooh, dit is echt een boek dat heel hoog op mijn verlanglijstje staat! Prachtige patronen die ik volgens mij allemaal wel wil maken. Ik ben groot fan! Wow, wat een mooi boek. Ik doe graag mee aan deze give away. En nu maar duimen dat ik mag winnen…. Wow, hier doe ik graag aan mee!!! Oh wat een prachtig boek! Heerlijk om inspiratie op te doen. Ik doe heel graag mee met deze win-actie. These blankets are really fantastic!!! 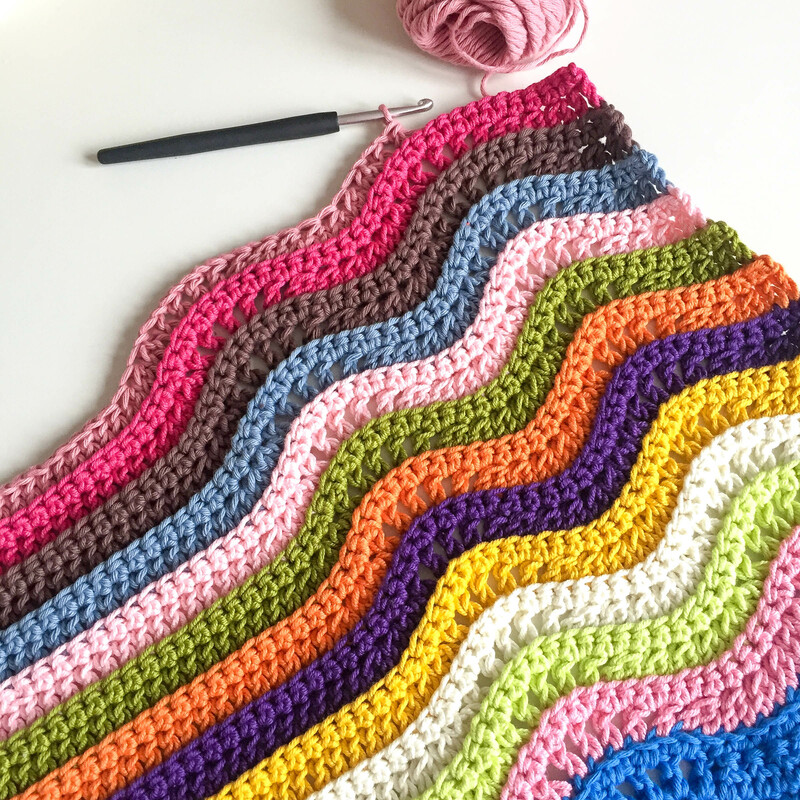 I’ve been hesitant to take on a blanket but her book is inspiring me to give it a try! 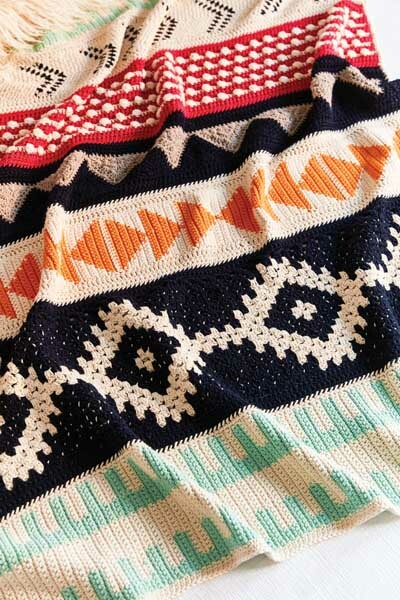 Beautiful blankets and afghans. Would love a copy of this book. Thank you so much for the offer! Prachtige dekens! Ik doe mee. This looks wonderful! I love the beautiful stylish designs, which I haven’t seen in many others and full of color. 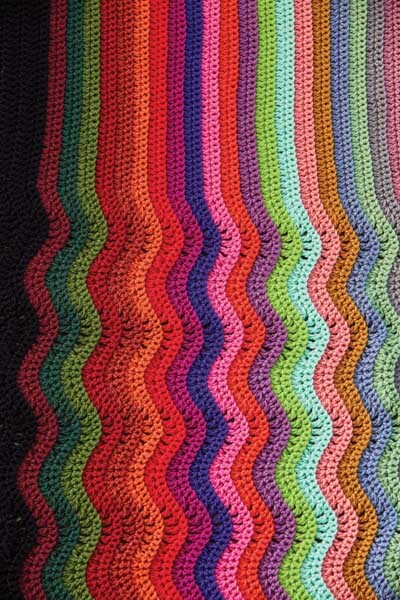 I would love to try some of those crochet projects right away for my family and friends! Dit lijkt me nou eindelijk weer eens een boek die ik ècht zou willen hebben. De foto’s zijn al ontzettend inspirerend. This book looks so inspiring! One of my favourite pastimes is crocheting blankets for family, friends and people in need. Na het lezen van je blog nog nieuwsgieriger geworden naar dit boek. Weet al welke deken ik als eerste zou maken als ik win! oh wow what a gorgeous giveaway! beautiful intense vivid colors! Thanks for the great review. Most informative one I’ve read so far. Your enthusiasm is also catching. I love the Layered Waves pattern. Simple but brilliant! Thank you Marianne for the opportunity to win of a copy of Rachele’s book … it does look wonderful and her work is amazing !! 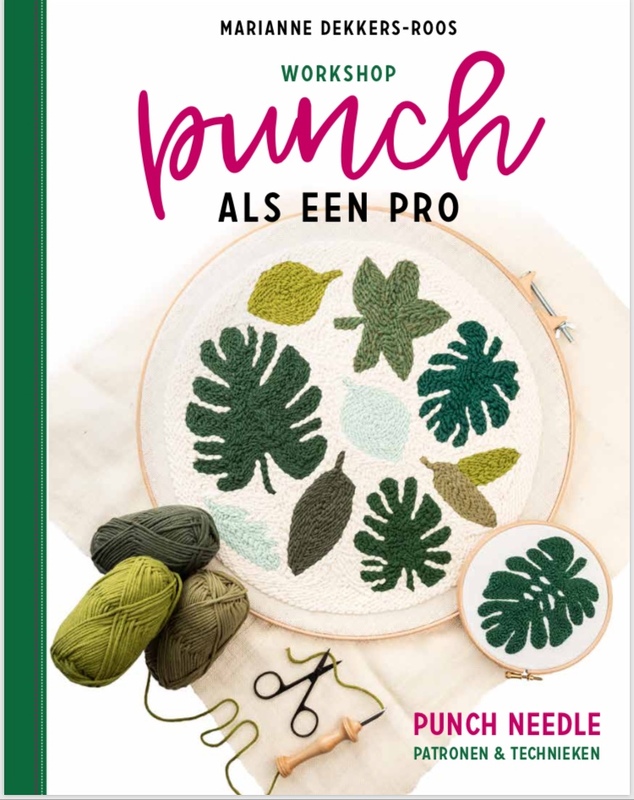 Wat een prachtig boek, patronen en foto.’s .Lekker haken met deze donkere dagen. Ik doe graag mee. I simply love her unique patterns. She really makes us crochet out of the box!! Would loove to win this! Fingers crossed 🤞🏼🤞🏼Thank you so much for the oportunity! Rachele’s Designs are so stunning! How fun for you to be able to review her book! 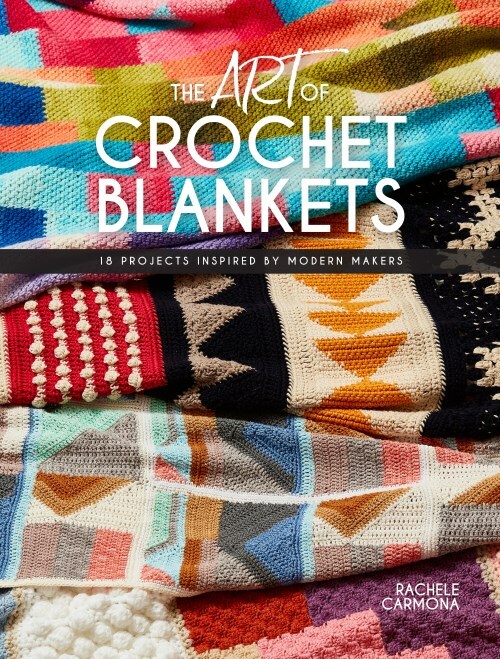 Was really surprised when I saw Video review of this book and seeing Rachelle transform other things of art into crocheted blankets, love that concept! Wauw. Wat een gave dekens. Wauw. Ik doe graag mee. Beautiful work I’d love to get this book. Thanks for the giveaway I hope I win ￼..
Oh wat een mooie dekens! Ik doe heel graag mee mdt de give away! Wow! What a lovely book! 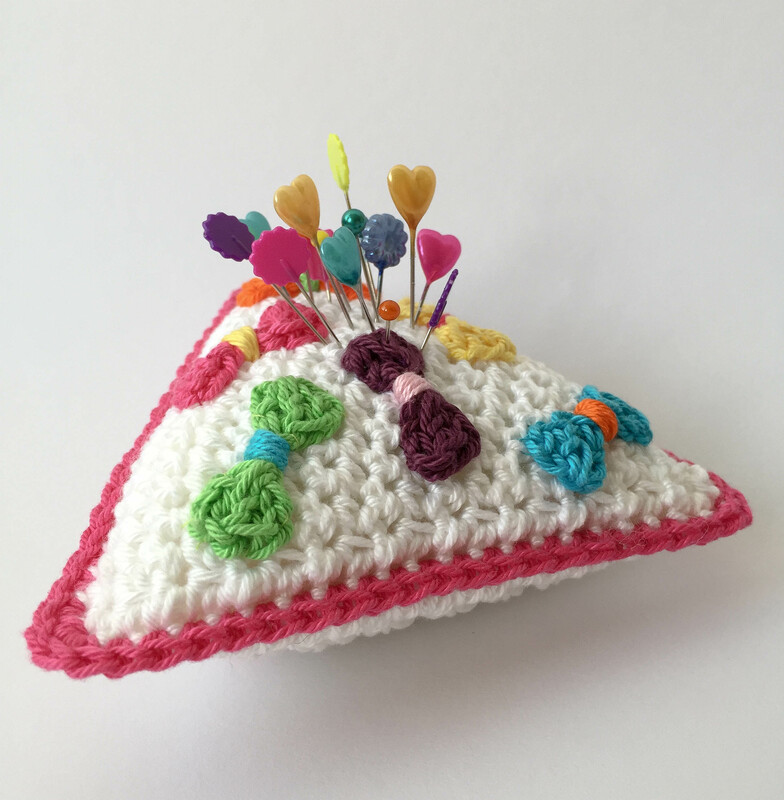 Innovative and fresh ideas using our beloved crochet. Would love to have this on my lap to inspire me. Wauw, dit zou wel een fantastisch cadeautje zijn voor onder de kerstboom deze maand! Nu fingers crossed!! I would love to win a copy of this book! I have been experimenting with blankets and some new techniques and ideas would be great.